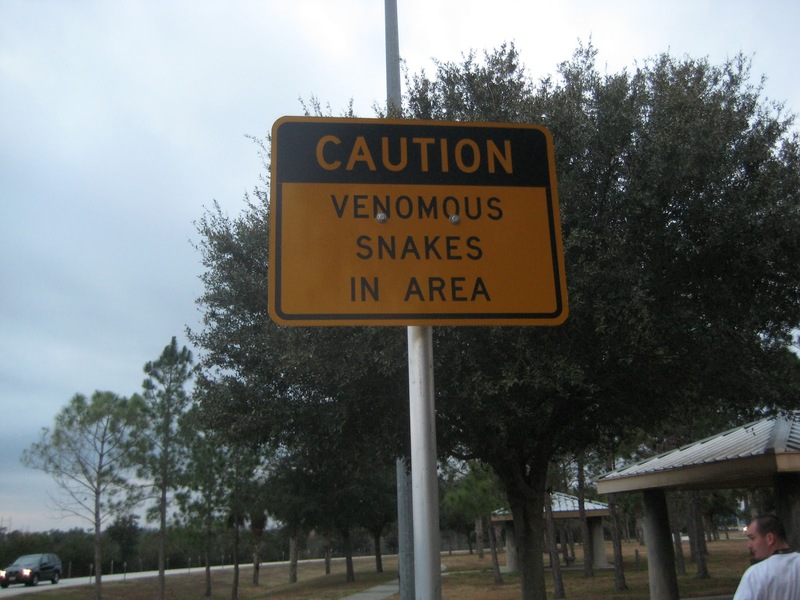 This is a for real sign that I found at a Florida rest area … welcoming, isn’t it? I didn’t even get my dogs out of the car here. I wouldn’t even have stopped if I didn’t have to pee wicked badly. Good grief, I get that they have to warn naive travelers but this is ridiculous! And speaking of venomous snakes, I feel like one today – my daughter visited from Chicago for a few days and it was the most fun I’ve had for ages. And now, going into the Thanksgiving holiday with none of my kids being here with me again, I am feeling really sad and as if every word that comes out of my mouth is venomous. I don’t mean to be nasty but I can’t help it. I feel like I gave up everything to come here and it’s not worked out like I had hoped it would. It’s hard when you are not a risk taker and then at a crossroads in your life, you decide to take a risk and then it turns out not to be a good move. I guess I’ve learned a lot (always the one to find the silver freaking lining … ) but it’s feeling really crappy going into my favorite holiday of the year. I’ve always been able to find something to be grateful for and genuinely feel grateful. This year I simply feel wounded and lonely. I certainly hope that my knitting takes off for me in the coming months and that I can find a great location to move to and start over again. Any suggestions? I’m feeling New England in the New Year … maybe 2011 will be the answer to prayers. I need an infusion of happiness. Thank you very much. 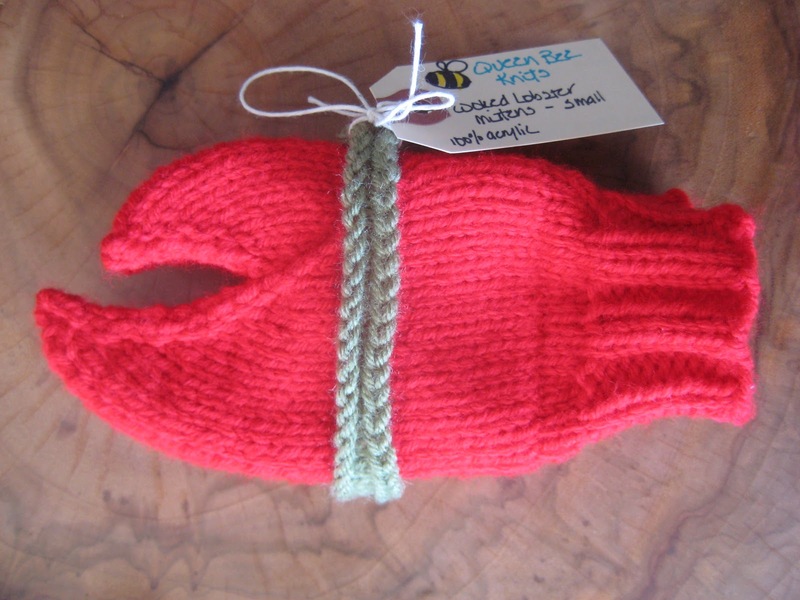 This is one of the pairs of “Cooked Lobster Claw” mittens that I packaged and shipped last week. Aren’t they cute as a button? I love them to death. They could also be called “Cooked Crawfish Claw” mittens for those who live in the southern regions … and, frankly it’s a reflection of my family – North and South! I told you that I had a family miracle to share about my big brother, right? Here you go – this is something that I’m truly grateful for…. After my mother passed away, a cousin of hers contacted my aunt (mom’s sister) and told her that she had information about a baby. She had been sworn to secrecy and had kept the secret until my mother died. Rita shared that my mother and father had conceived a baby boy who was born “out of wedlock” in May of 1956 in California. When I was a kid, I had heard the story about how my father had chased after the society girls but was dating my mother, a legal secretary. Mom, frustrated with the fact that he hadn’t proposed, moved to California for a year to get away. Dad couldn’t live without her and, ultimately, proposed and they were married in 1957. Well, what was left out of that old story was that the real reason that Mom went to California was that she was pregnant and unmarried. In 1956 this was a shameful thing. My mother would have been considered “trash” if found out so she sneaked away. On May 30, 1956 a baby boy was born to my mother and was given into the hands of a loving adoptive family. Mom never held him nor saw him. According to Cousin Rita, though, she was very worried about Mom’s mental state. She was isolated and dreadfully depressed. 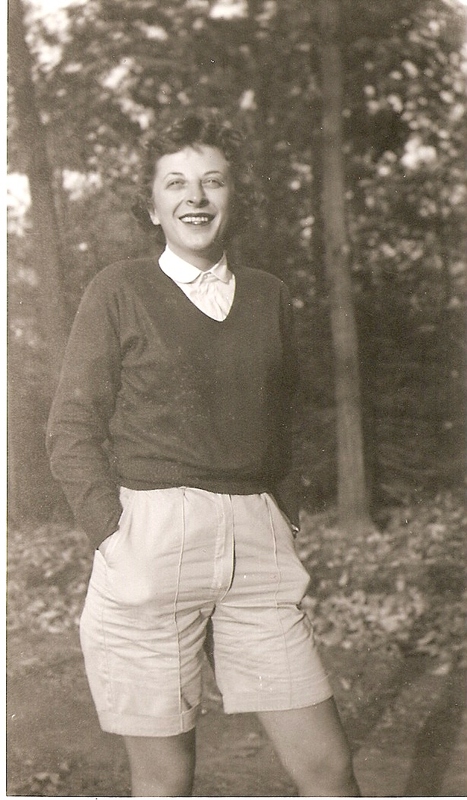 Rita called my Dad who came out to California to visit and shortly thereafter, Mom returned to the east coast and they were engaged and married in September 1957. So, in 2008, I got word that I had a full-blood big brother somewhere in the world. Against all odds, I called the California County office and was told there was nothing they could tell me. Adoptions from that time were sealed. The Internet was the place to search and I found several sites that are “Adoption Registries” and signed myself up. It didn’t take long before an angel (yes, Virginia, there are real live angels!) who volunteers to help adoptive families and birth families to find each other emailed me with some information about my brother. And then there was another email. And the third … I’ve found your brother! At the bottom of the email was a white pages listing with my brother’s name and address and phone number. So, I called. A woman answered and I asked for Richard (an amazing coincidence … my younger brother with whom I grew up is also Richard, as was my father). She told me he was out and would be home in a couple of hours. So, I set the timer (yes, literally) for two hours and called again. The answering machine picked up. I started to leave my message and the woman came on … and she turned the phone over to a man. I told him my story (well, my parents’ story) and he asked me a couple of questions about my parents and then he said, “I think I’m your brother.” Wow! We talked for about 45 minutes that first time. Sharing about our children and our lives and our siblings. He had just lost his mother a few weeks prior to my call and was thinking that he only had one blood relative in the whole world … and now he had three blood siblings, nieces and nephews, aunts and uncles and cousins galore. We’ve since had several opportunities to get together and we’ve started to get to know each other and our extended family. When our younger brother Rick gets married next month, all five of us will be there. Me, my brothers that I grew up with (both younger) and my new big brother and sister. Turns out my big brother had a younger sister and now I have a big sister too. I think our mothers would be very proud. For that I’m very grateful. This entry was posted in Family and tagged adoption, brother, Family, gratitude, parents, searching, snakes by lindarockwell3. Bookmark the permalink.